St Swithin London Stone was originally built sometime before 1291. It was burnt down in the Great Fire of 1666, and rebuilt by Wren in 1677-86, using materials from St Mary Bothaw, only to be severely damaged by bombing in 1941, and subsequently demolished in 1957. John Dryden was married to Lady Elizabeth Howard in the church in 1663. Essentially only the so-called “London Stone” that was built into the south wall of the church in 1798 still survives at the site, as stipulated in the conditions for its redevelopment. 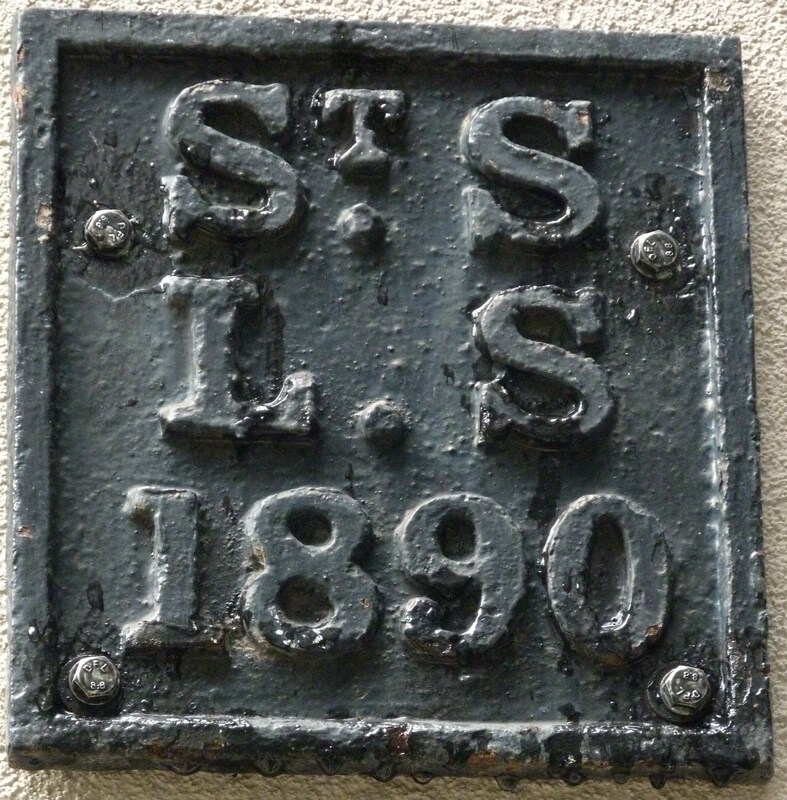 There are parish boundary markers on Cannon Street and in Oxford Court (and another just off Walbrook). 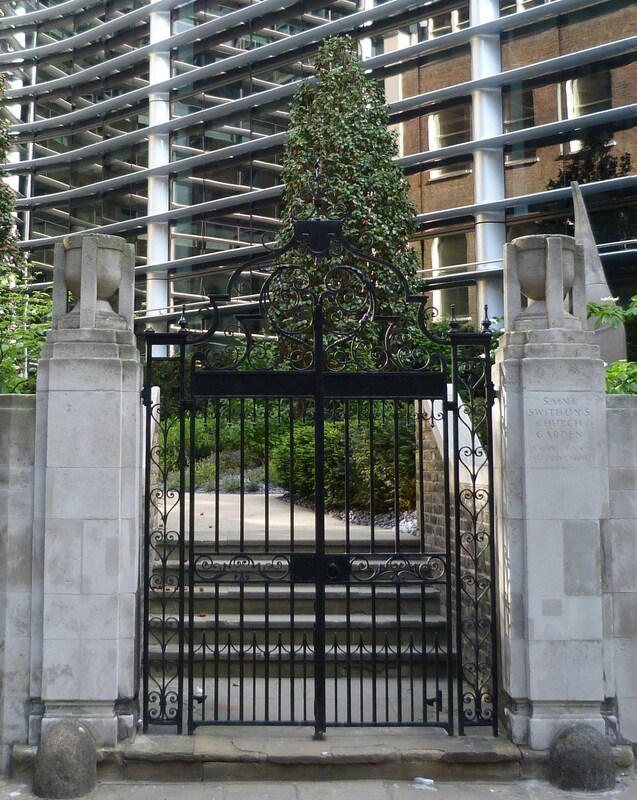 St Swithin’s Church Garden also survives, between Salters Hall Court and Oxford Court (and near where Henry Fitz-Ailwyn or FitzAlywn de Londonestone, the first Lord Mayor of London between 1189-1213, once lived). The pulpit of 1682 salvaged from the church is now in All Hallows Barking. Swithin was Bishop of Winchester in the ninth century. In the Medieval period, “The London Stone” stood in the middle of the street, as indicated on the map of 1520, and on the “Agas” one of 1561-70, and was apparently used as a place from which to make important public pronouncements, being evidently richly endowed with symbolic significance. Its recorded history extends as far back as the twelfth century, when the first Lord Mayor of London, from 1189-1213, was one Henry Fitz-Ailwyn or FitzAlywn de Londonestone; and it is possible, although not proven, that before that, it was associated in some way with the Roman Governor’s Palace complex that once stood nearby, and now forms part of a Scheduled Ancient Monument substantially under Cannon Street Station. Indeed, according to one of many romantic myths surrounding the stone, it was the very one from which King Arthur drew the Sword Excalibur, and possessed magic powers; and according to another, it was the one Brutus used to mark the city of Troia Nova, and “So long as the Stone of Brutus is safe, so long will London flourish”. As Hollis put it, “We will never know [its true origin], and perhaps that is as it should be”. 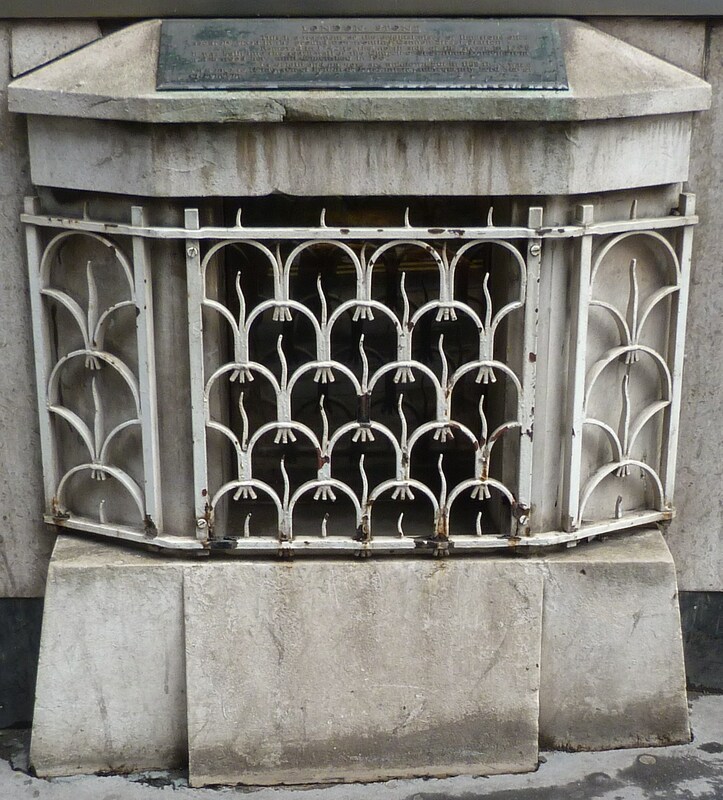 This entry was posted in London Blitz, Lost Wren churches, Sir Christopher Wren, Site is on a Lost City of London Tour and tagged Henry Fitz-Ailwyn, Henry FitzAlywn, London Stone on February 24, 2015 by Bob Jones - The Lost City of London.